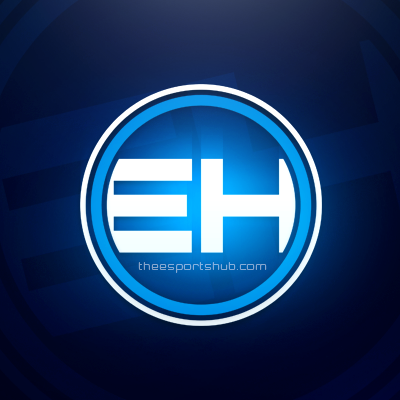 The Esports Hub is an online gaming platform. The company started hosting tournaments on twitter, having teams signup through messages and releasing rules via tweets. Fast forward a couple of years later and our platform has just surpassed 62,500 registered users. As our growth does not show any sign of slowing down, we are conducting our largest recruitment drive to date! Our goal for the remainder of 2018 is to engage in new games and build foundations within these new communities. As such, we’ll be requiring new staff to take advantage of these opportunities. We’ll be working with five game developers over the course of the next 3 months, in order to bring top competitive action to players around the globe. All applicants should be over 18 years old and speak fluent English. English is the language used to communicate between staff here at The Esports Hub. If you’re an outgoing individual who not only wants to be involved with esports but would like to help set the standard in esports then we’re looking for you! Unfortunately, at this time The Esports Hub is not able to offer full-time payment for any job however individuals can still earn money through commission and monthly targets. Those motivated applicants who join The Esports Hub are sure to be rewarded for their hardwork and commitment with the possibility of full time employment at a later date. Synopsis: To communicate with game managers and ensure tasks are being completed. This individual will answer directly to the Managing Director. Requirements: This applicant will be joining the core management team and will be a vital asset in the day to day operations of the company. You should have some experience working within the esports scene. This can be anything from team management to tournament admin. You should have an in-depth understanding of games such as Fortnite and Call of Duty with the motivation to learn about new games such as Ironsight and Black Squad. You should be familiar with tweetdeck, discord, skype and other forms of instant messaging. You should be able to be communicative on a daily basis and be easy to reach. You should have excellent organizational skills and be familiar with such software as Excel spreadsheets. You will be responsible for communicating with game managers and admins to ensure tasks are completed. You will be responsible for aiding game managers in recruitment. You’ll be asked to present information on a regular basis at managerial meetings. You will take feedback and evaluate problematic areas on which we can improve on. To apply to this position, please send an email to [email protected]. We have not included any template format to fill out. You may type as much as you like in applying for the position. Synopsis: To communicate with sponsors and partners on behalf of The Esports Hub. Requirements: This applicant will be joining the core management team and will be vital for the progression of the company. You should have an in-depth understanding of the esports scene and the companies that operate within this scene. The individual must be located within the United Kingdom and be able to travel. You should have excellent organisational and communication skills. An ideal candidate will have a marketing background. An ideal candidate will be out-going and professional. An ideal candidate will be able ot bring their own ideas to the table in order to progress the company. You will be responsible for communicating with sponsors and partners, for online and offline events..
You will be responsible for advancing The Esports Hub brand and be expected to bring ideas on how this can be achieved. Synopsis: We are currently on the lookout for individuals to help us with our secondary games: H1Z1, Battlefield & Realm Royale. Applicants should be strongly motivated to be involved with esports and a desire to turn their passion into a working responsibility. The applicant will be responsible in helping ESHUB kick-start competitions on the website for these few select games. You will be responsible for weekly events and advertising these events. Ensuring that the events truly reflect the communities needs. You will be required to use unconventional means to contact players (reddit or forums) in addition to conventional means (twitter and facebook)..
You will have a direct hand in guiding the community on The Esports Hub platform. Serious applicants should apply this position, by sending an email to [email protected]. Potential for part-time pay is available. We have not included any template format to fill out. You may type as much as you like in applying for the position. Only one person per game is required as events will be weekly not daily. Synopsis: To advertise, manage and run an online league. Requirements: This applicant should be familiar and have access to Adobe photoshop. You should also have excellent organizational skills and have good connections with teams in the game of your choice. Responsibilities: These will include advertising, organizing games and being in contact with teams to ensure games are ran smoothly. This also includes arranging dates for playoff and running a double elimination tournament bracket on the specific playoff weekend. League Operations specialists will receive a percentage of the profit from the league they operate. To apply, please fillout this application form [Click]. Synopsis: To operate and manage tournaments and discord. Requirements: You should be passionate about esports and have a strong understanding of the game you are applying for. Responsibilities: To admin online competitions in a game of your choice. You should be able set aside several hours to admin a tournament and communicate in a professional manner, even when things get stressful. You should be able to dedicate the time to run a couple of tournaments per week and be able to help moderate the discord related to your game on a day to day basis. Admins will receive compensation in the form of online goods such as ESHUB credits & ELITE status as well as compensation in the form of monthly targets.